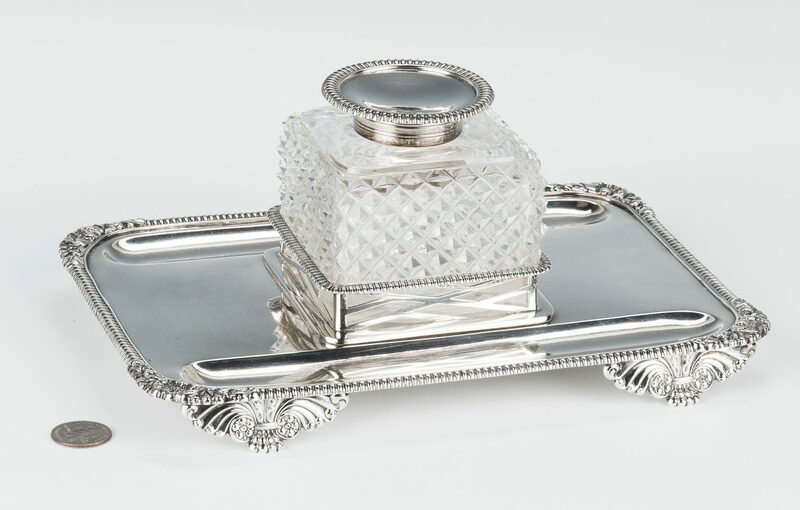 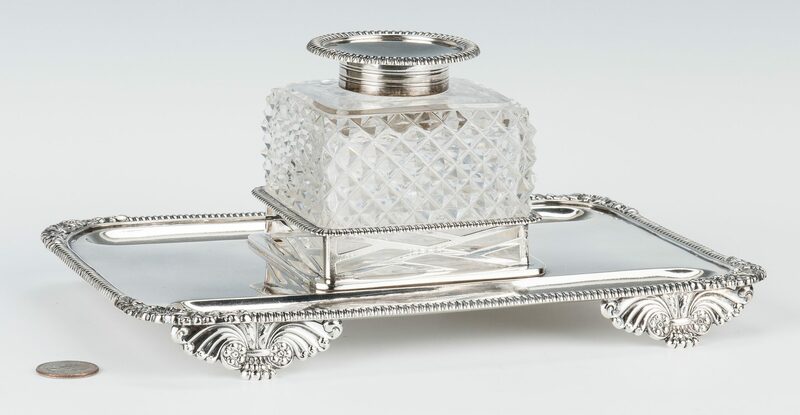 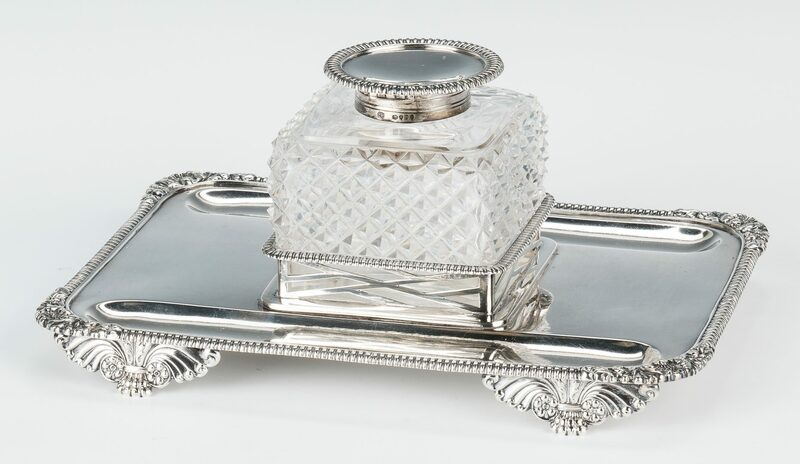 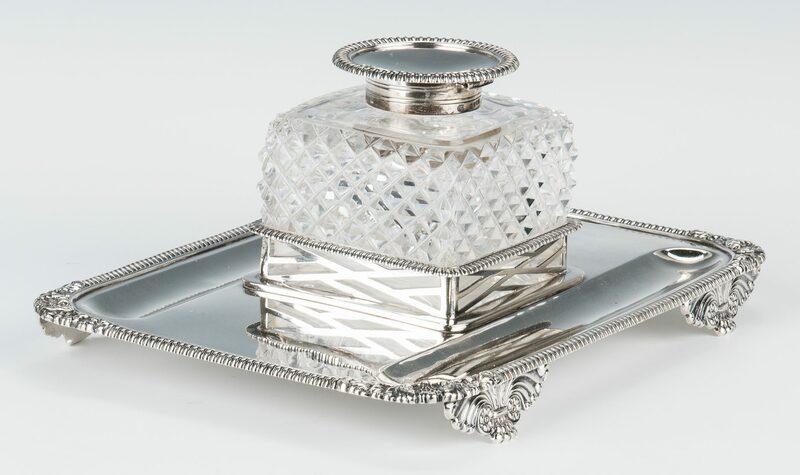 London hallmarked sterling silver and crystal inkstand, rectangular form stand with gadrooned border and shell corners on shaped feet, fitted with a square cut crystal inkwell with hallmarked sterling top. 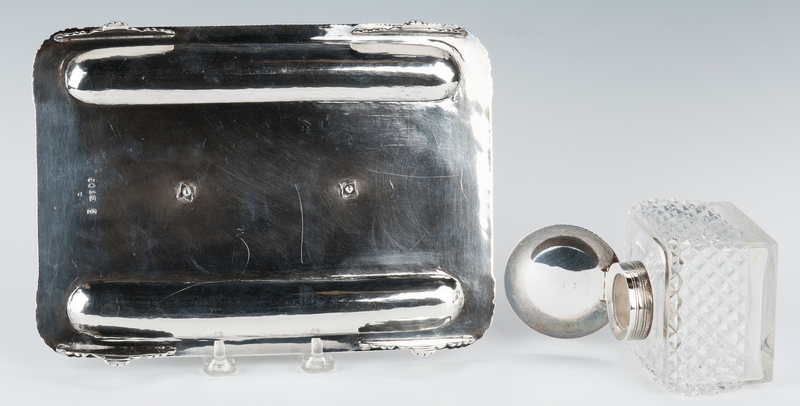 Stand with maker's hallmark for Charles Johnston Hill (working 1881-1895), city and duty hall marks and 1889 date mark. Lid of inkwell with maker's hallmark for Walter & John Barnard (working 1877-1895), city and 1889 date mark. Stand – 10 1/2" W x 7 1/2" D. 25.145 weighable troy ounces. 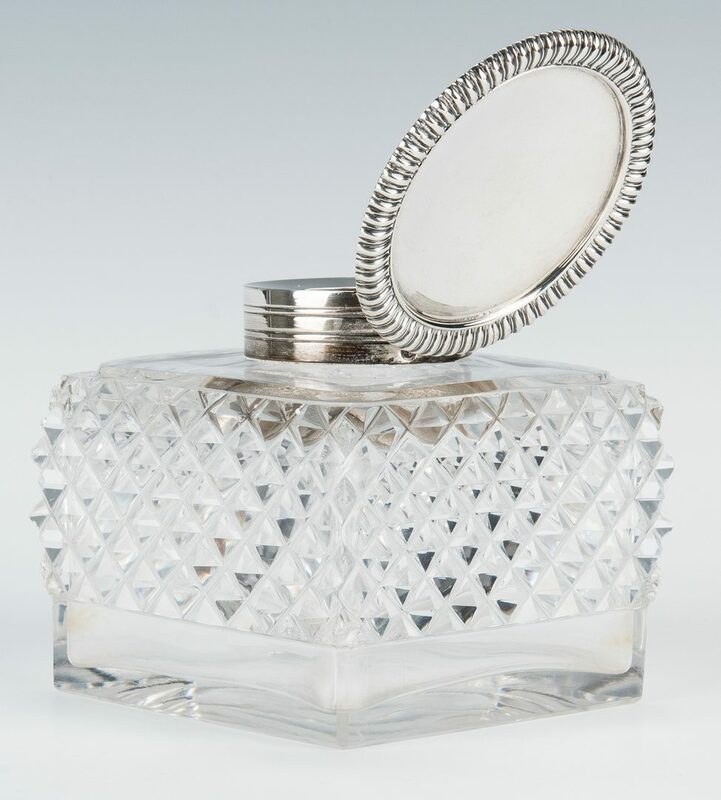 CONDITION: Light surface scratching to stand. 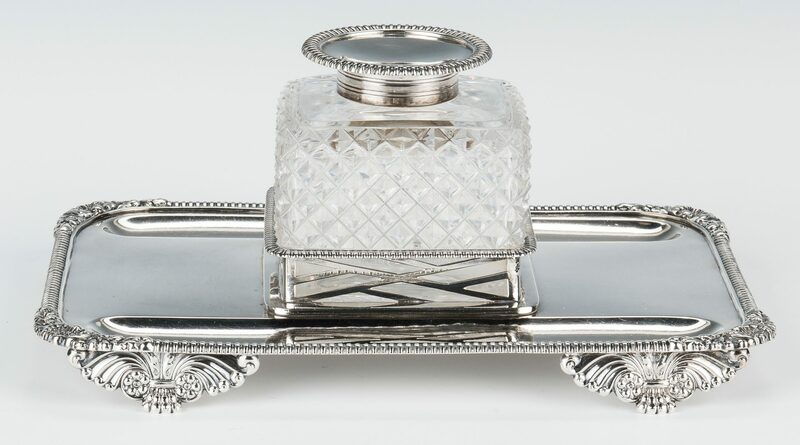 Small losses to all 4 corners of crystal inkwell.